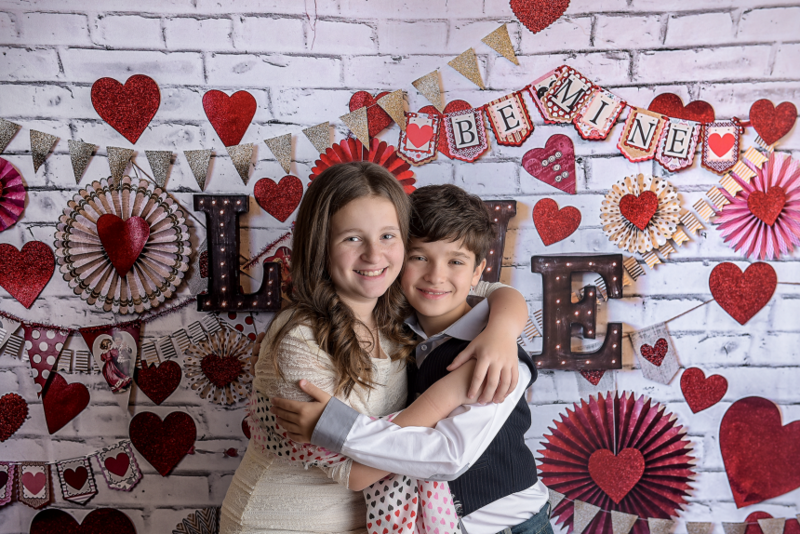 Valentine's Exclusive Portrait Sessions are Here! 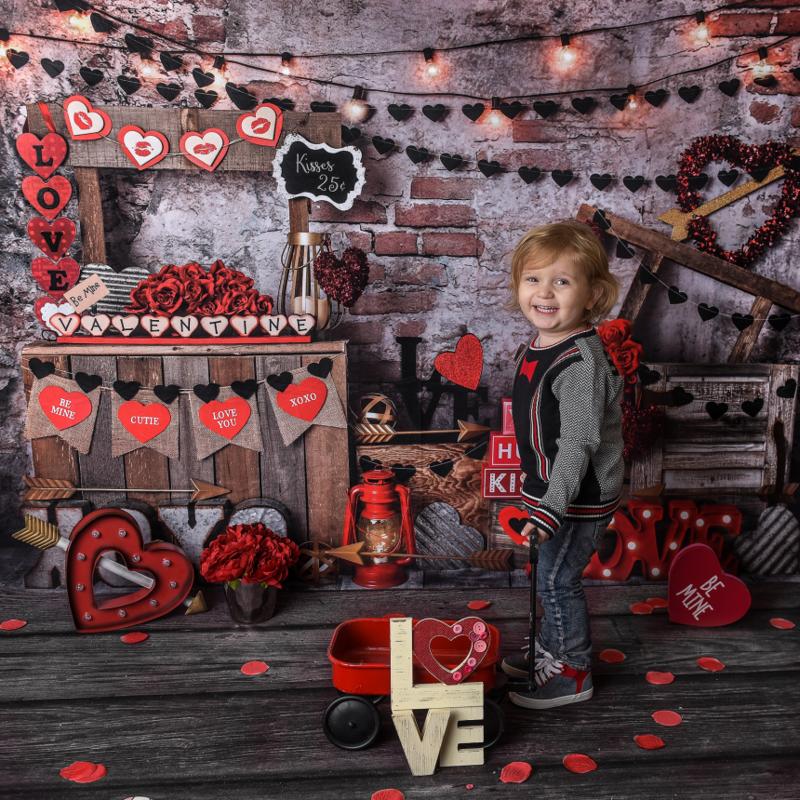 Valentine’s Exclusive Sessions are Here! It’s that time of year again! As we’re all winding down from the busy holiday season, we have one more holiday sneaking up on us. That’s right, Valentine’s Day! Personally, I love Valentine’s Day, as we get to celebrate the love we have for one another. The holiday is all about holding your loved ones close to you and showing that you care. Little children exchange valentines at school to their friends and their classmates, while adults celebrate with roses and chocolate. We all have a way that we show our love for our friends and family, and I’m so glad there’s a day on the calendar that celebrates that ideal. 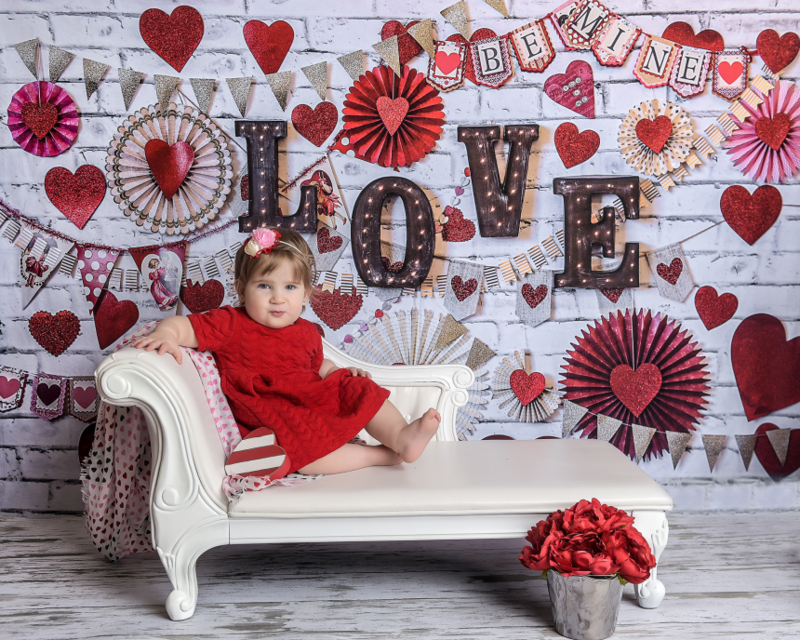 This year, we are celebrating the love of Valentine’s Day by doing mini, exclusive sessions. These sessions will be limited, so don’t wait on booking yours now. For our setup, we have a lot of different goodies we are using. We have heart shaped fans, hearts, chocolate boxes, roses, banners, and a huge LOVE sign! There are so many props that can be used for this session to make it your own. In addition, we have two different backdrops to choose from. The first, shown above, shows a clean white backdrop and flooring, featuring a chaise lounge. Below, you will see a different backdrop option. This option features many different accessories as well! 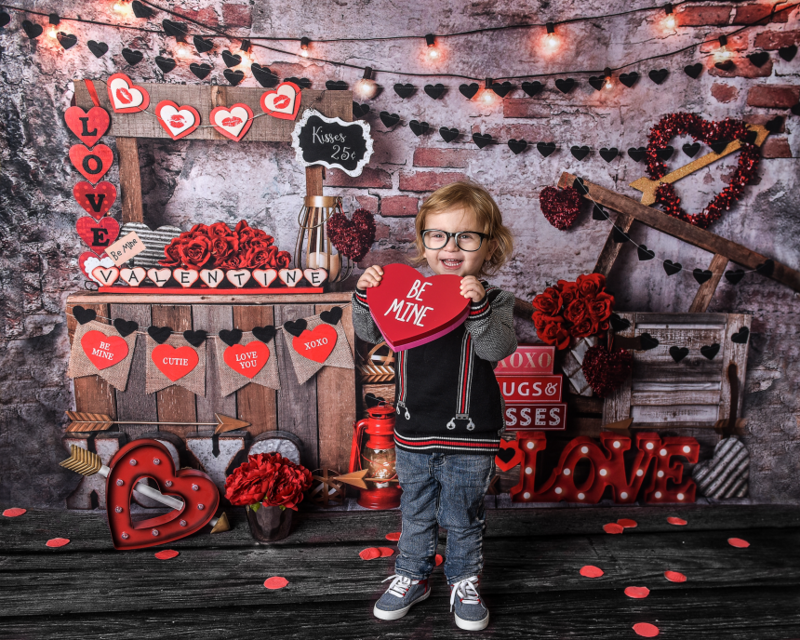 You will see many different types of hearts, rose petals on the floor, LOVE signs, and even a kissing booth! This backdrop is black, giving the red a lot of pop in camera. Don’t wait until February 14th to book, as the spots will be gone by then. These exclusive mini sessions will feature 8 digital images taken within 20 minutes, along with an online gallery and print release. These sessions will be $175. Again, these will book very quickly, so don’t wait! You can click here to get your spot on the calendar, like these little models did below! Email Info@pictureperfectny.com to book!